With iOS 10, beside just text base notification, we can now add other items like images, GIF or even video clips. In this post, we will create a simple text notification, followed by image and GIF. We could also ask for more options like .badge if needed. An instance of UNMutableNotificationContent is required. We should at least be setting the notification content with title, body and sound. We could set more properties if needed. A list of properties could be found in the docs here. In order to trigger a notification, we could use either of the following three option UNTimeIntervalNotificationTrigger, UNCalendarNotificationTrigger or UNLocationNotificationTrigger. UNTimeIntervalNotificationTrigger is the simplest of all. We just pass in a timeInterval for seconds later to trigger the notification. UNLocationNotificationTrigger trigger a notification when user enters or leave a CLRegion. Having both the content and trigger ready, we could easily create a request now. identifier is a unique string given to each request. If the same identifier is passed, the existing notification will be replaced with the latest one. 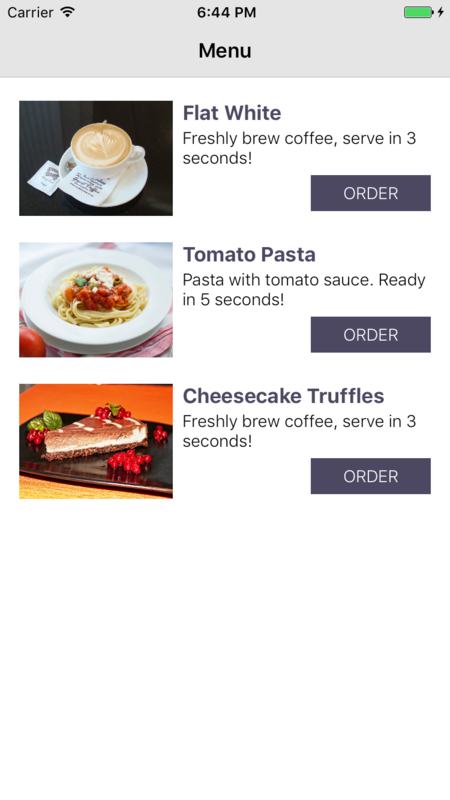 I have created a simple cafe ordering app. You will able to order three item, each showing a different type of local notification after a short interval. The project can be clone from GitHub. 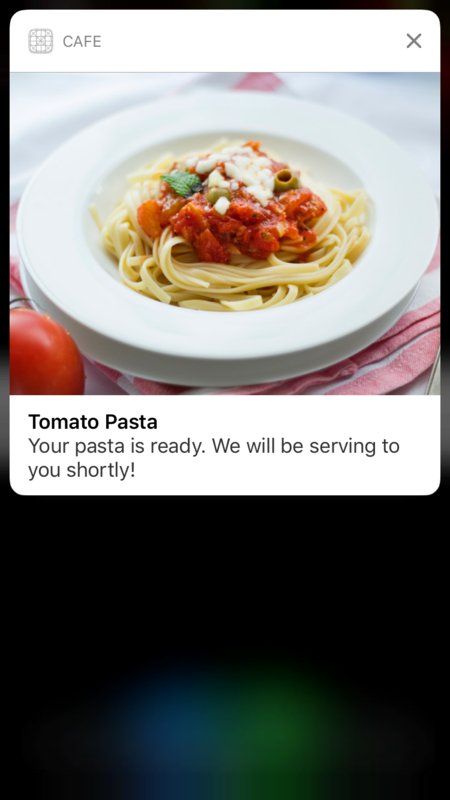 After clicking on a order, user should leave the app to wait for notification. 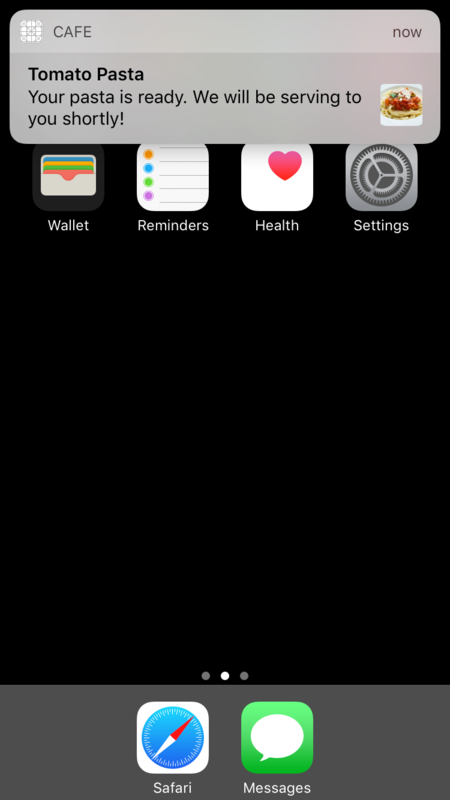 Local notification will not be display when the app is on foreground. The project also uses UNNotificationAction that I will write about in the next post.